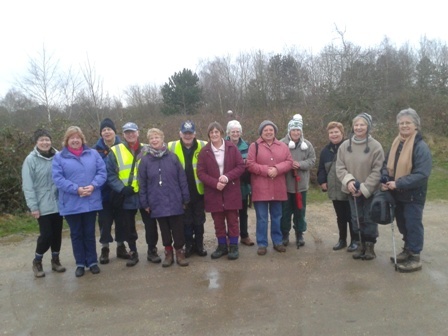 The group walks on the 2nd Thursday of the month starting at 2pm prompt. 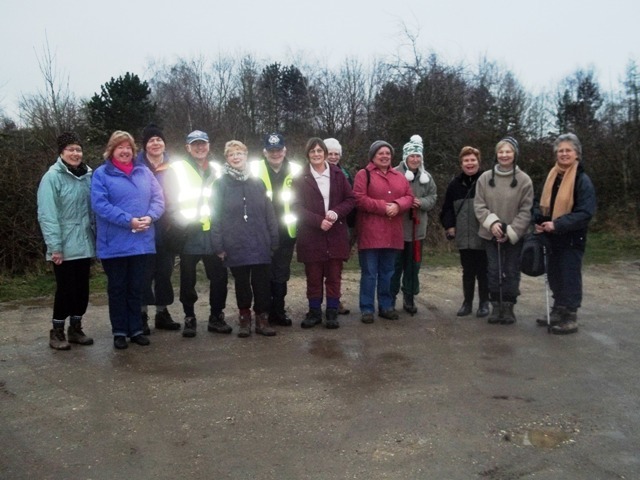 We meet up at the starting point of the walk. We usually walk for 2 hours covering about 4 miles. 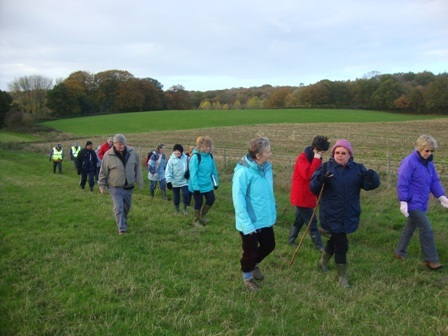 However interesting short walks are useful for the winter when it starts to get dark earlier and the weather is worse. Joan and Mike Collins are the convenors, so they are the people to contact. 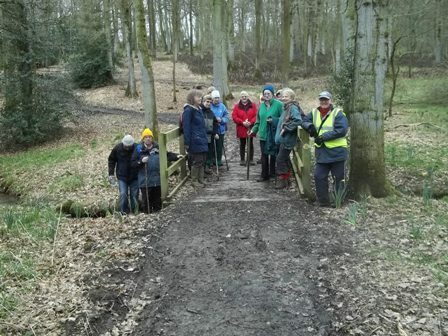 We are working on the principle that it is up to the members to take it in turns to plan and lead walks (there could be several people, to share the work). This means that the responsibility is shared. 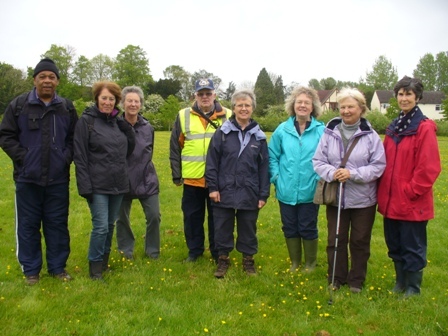 You can always get help to plan a walk if you are not confident. 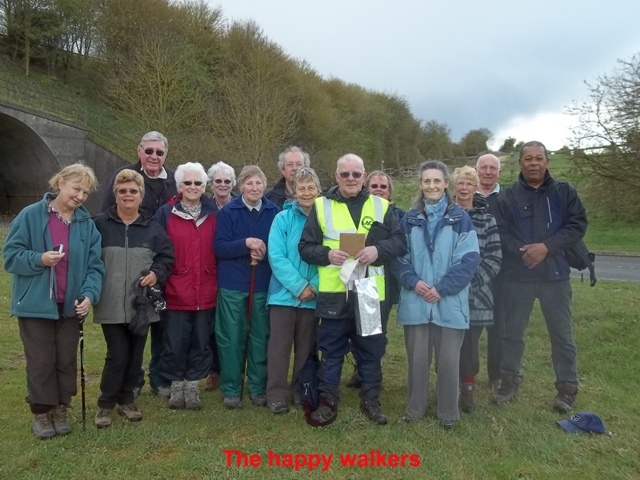 If you would like to lead a walk please contact Joan & Mike Collins. It is useful to have a few alternatives planned in case the one originally planned is too wet or muddy. For more information please use the form on the Contact page to send an email to the Web Administrator and your email will be forwarded to the convener. This is August 2014's walk through the River Pang Valley. 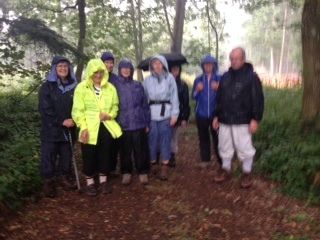 It was a beautiful walk although we caught in the rain through the trees which did help to keep the downpour off us, although you might not think so! 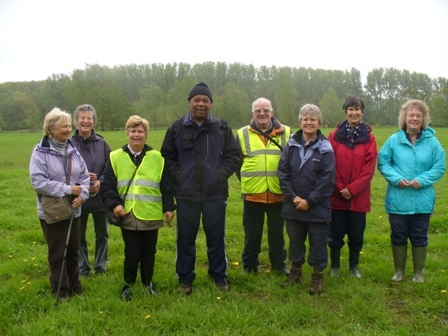 Our May walk in Aldermaston was a lot smaller than usual, 9 of us compared to the usual 20. 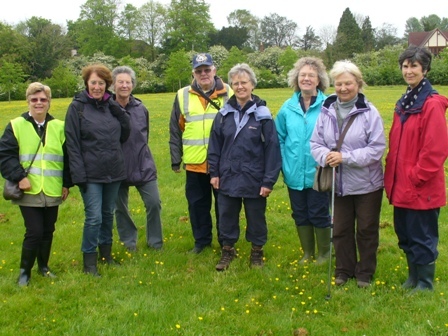 This was due to weather conditions and some on a U3A trip to Longleat but everyone enjoyed it. 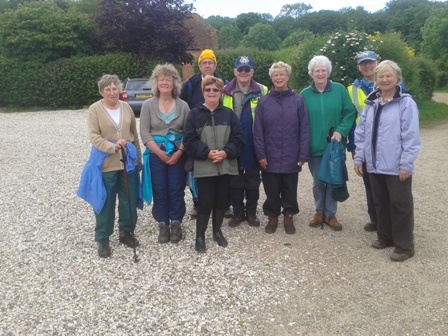 We started out on Mill Lane and did a circular walk via Aldermaston village where some had not been before.